Is your school redesigning a STEM lab next year? Are you wanting to implement STEM in your classroom and unsure of what to buy? Do you already teach STEM but need some fresh ideas? This free resource shopping guide is for you! 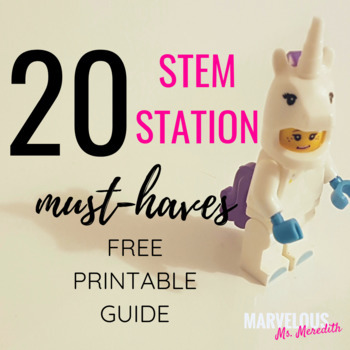 Here is a list of 20 STEM Station resources that I would recommend for elementary students and have used in my own classroom. There is a mixture of consumable and non-consumable items to fit your needs. These are my Amazon affiliate links. When you click on the link purchase with it, there’s no added cost to you and I get a little kickback in return. Win-win! 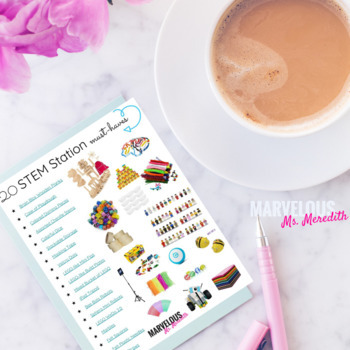 For ways to implement your new supplies, check out my STEM Stations here! You might also like my STEM & Stories resources as well.